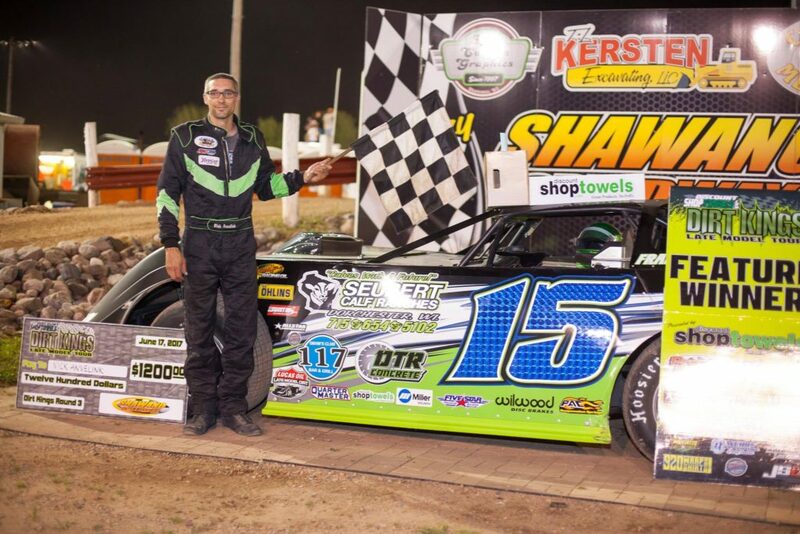 Nick Anvelink takes the win in Round 3 of the DiscountShopTowels.com Dirt Kings Late Model Tour at Shawano Speedway. Anvelink, who is also the points leader, started on the pole and led all 25 laps. Anvelink held off a charge from Brett Swedberg, who finished a close second. The crew at Shawano Speedway did a great job preparing the track for tonight, as they had to deal with lots of rain this week. Jared Siefert started from the tail of the field, passing 11 cars to finish ninth, after using the high side to earn the Hard Charger Award.